I would like to share with you one of our recently documented results. 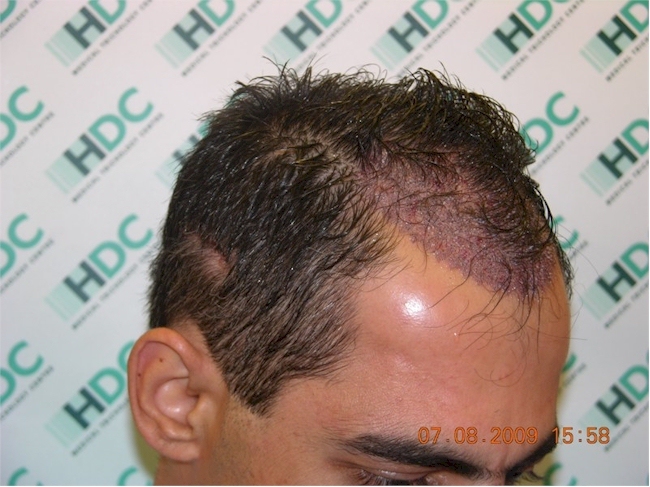 This 39 year old patient with a typical Norwood 3V chose STRIP surgery for frontal reconstruction by 3000 grafts. 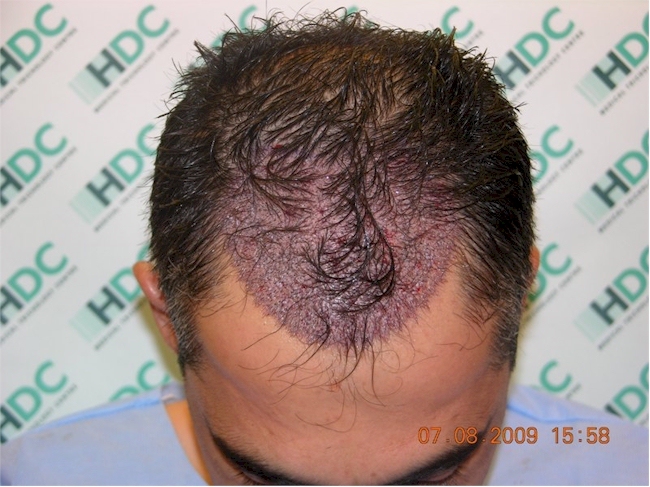 The procedure was carried out in August 2009. 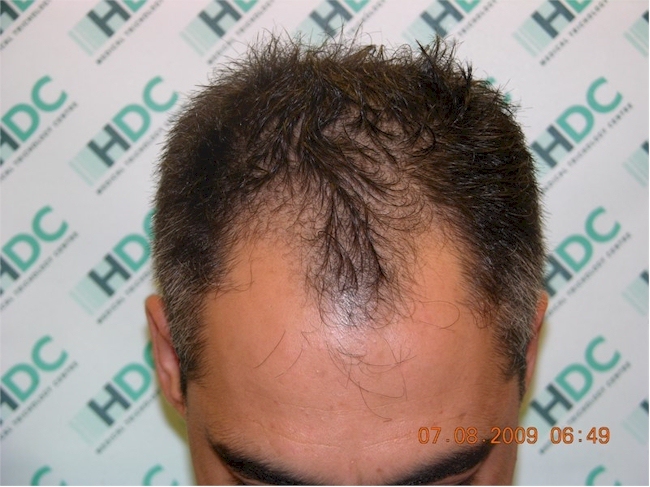 That is another excelent result but you have used a lot of grafts for this area. All the same he does have a donor density of a wooley mammoth! Your clinic seems to have good control of angulation. Do you use slits or needles or both? » area. All the same he does have a donor density of a wooley mammoth! I give them high marks for their photos, very good quality photos covering all the angles. everything looks good except there is no close up on the crown. i dislike the part about the transplant being a STRIP. When we need to match the empty temples with a wall of thick hair, we need dense pack so that the new density will match with the existing density behind the temples. This can explain the high number of grafts. We use needles for the singles in the front and blades for the doubles behind the singles. We also use needles for the triples. It may differ according to the needs of each patient. 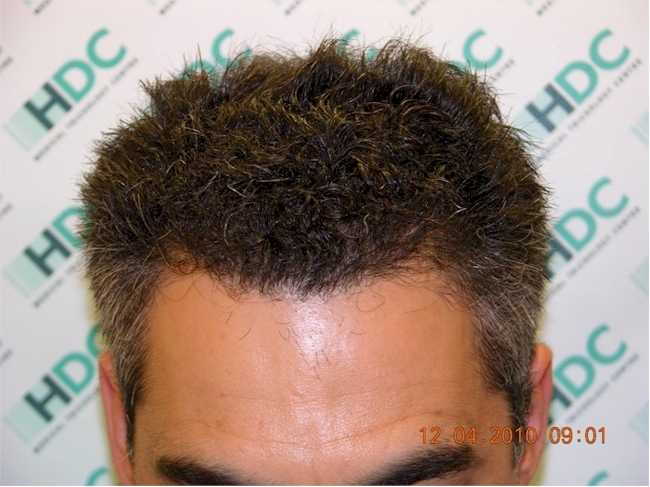 For example we may use a blade if we need to work in between existing hair. 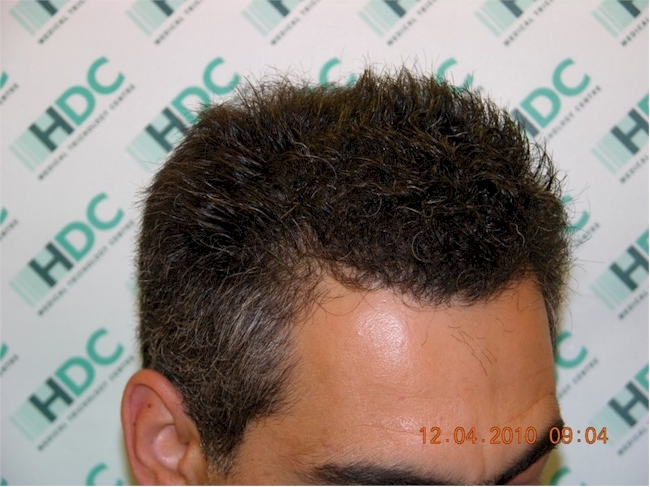 Angulation is something that we pay extra attention to, since it is vital to the naturalness of the result. 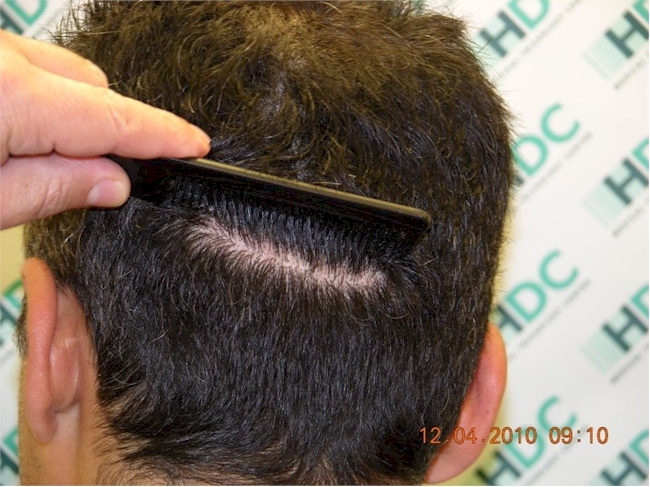 We use a more HDC standard angulation when there is no existing hair and we use the angulation of the existing hair when working in between them. » everything looks good except there is no close up on the crown. » i dislike the part about the transplant being a STRIP. No work was done in the crown area. 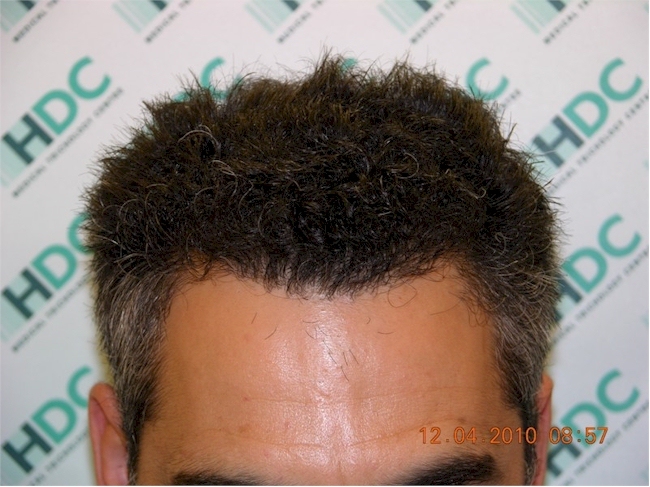 The procedure could have been an FUE, it was the gentleman’s choice to have STRIP. As HDC successfully performs both techniques, we explain the pros and cons of both so our clients make an informed decision. » » everything looks good except there is no close up on the crown. » » i dislike the part about the transplant being a STRIP. 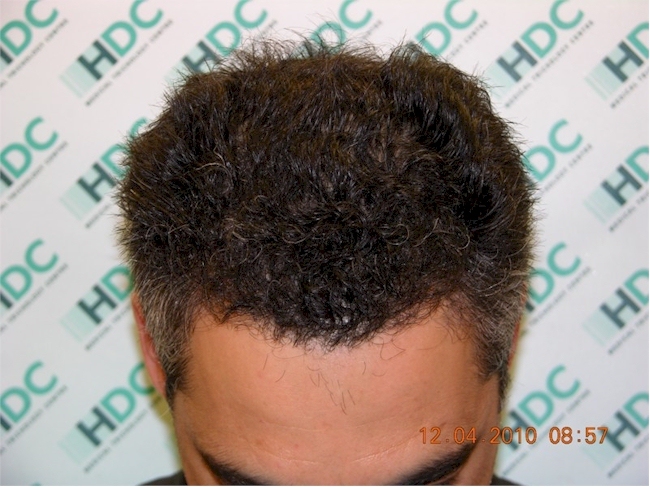 I don’t understand why someone wants STRIP when FUE is supposed to be so much better. » » » everything looks good except there is no close up on the crown. » » » i dislike the part about the transplant being a STRIP. » » an informed decision. One word: cost. 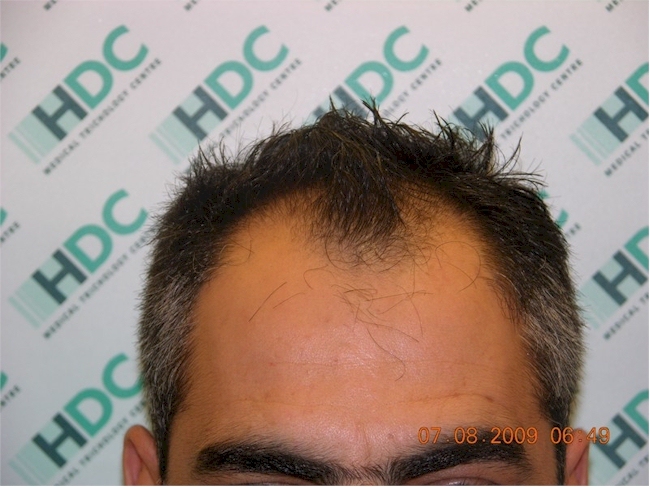 Strip is a lot less expensive,other than that I couldn’t think of any reasons to choose strip over fue. 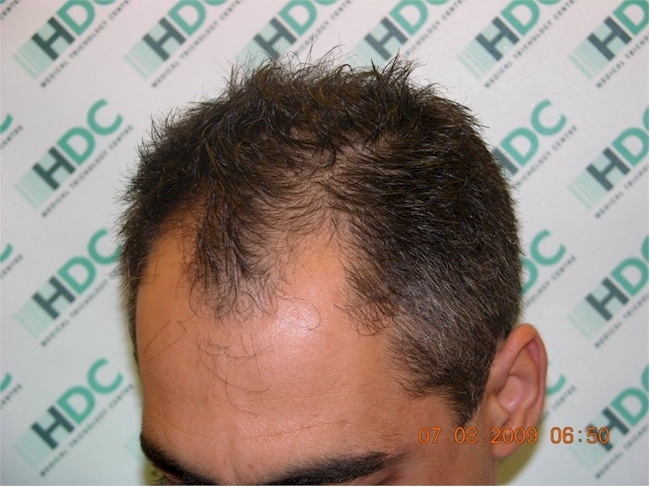 » think of any reasons to choose strip over fue. Thank you all for your comments. Cost can be a deciding factor and believe it or not having to shave donor area for the surgery. Clients that work in very conservative circles cannot imagine of one day just turning up at work as skinheads! And they can’t take the time off work to wait for their hair to grow to a certain length before to work. At the end of the day any elective surgical procedure is about choice. » I would like to share with you one of our recently documented results. » Photos of the procedure. 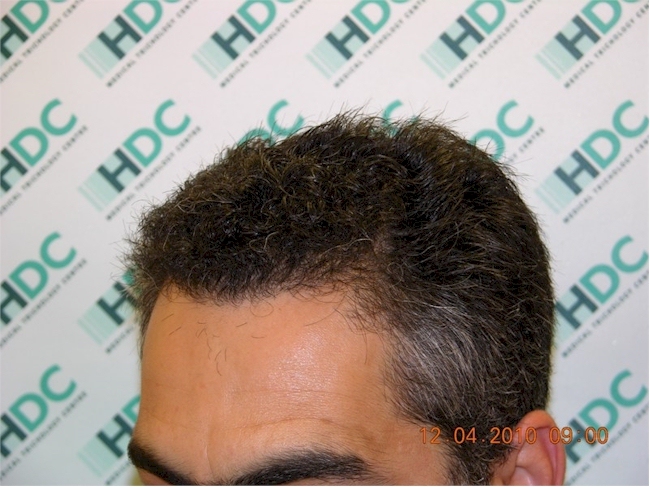 » » think of any reasons to choose strip over fue. » to grow to a certain length before to work. » At the end of the day any elective surgical procedure is about choice. question for you, if you know by any chance, why do you think these people arent willing to shave their heads but are willing to show up to work with a red/scabbing scalp where its obvious they had something done? i work in one of those type of environments where its very conservative, but i keep my hair close already but it’d be waaaaay more obvious to get my hairline and front region done then it would to cut my hair if i kept it as thick as this guy. 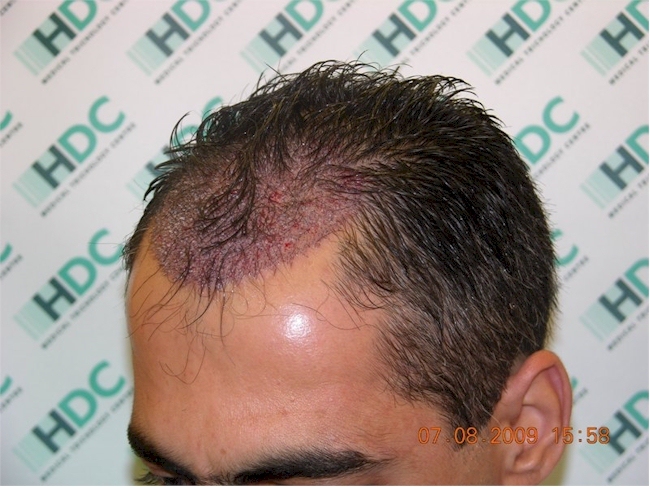 » a red/scabbing scalp where its obvious they had something done? » thick as this guy. 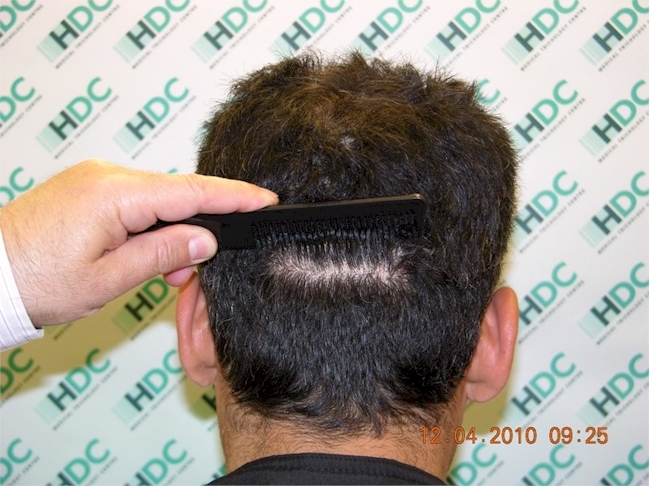 As most people will take some time off after a procedure, whether that is one or two weeks, when they return to work the recipient area will either bear none or little evidence of any work done and you can always claim that you have a rash on the scalp. 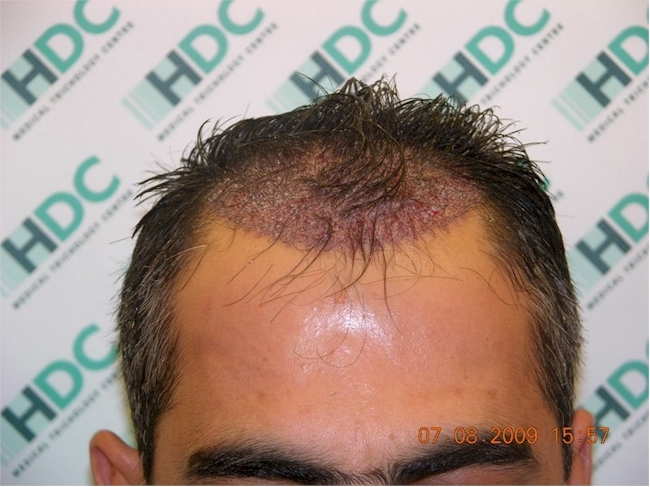 I think being able to conceal evidence of the transplant applies to guys that have some hair on top. Someone who is above a class 4 and quite shiny on top would have difficulty in concealing it. 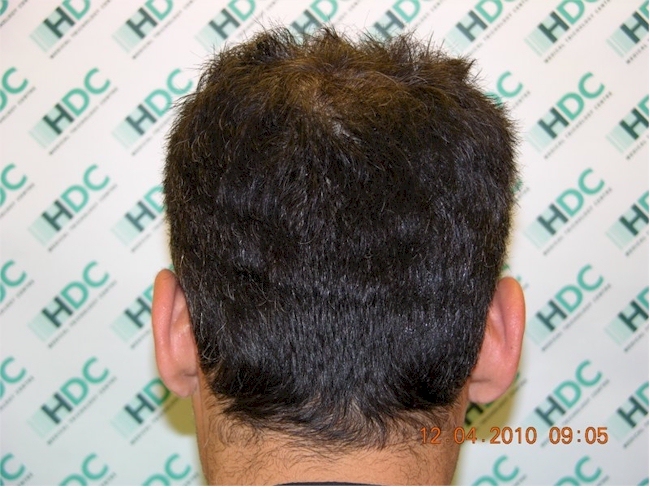 This is not factual but if the guy in this example took 2 weeks off work, on his return there would hardly be any evidence of the transplant just soft hairs on the grafted area. 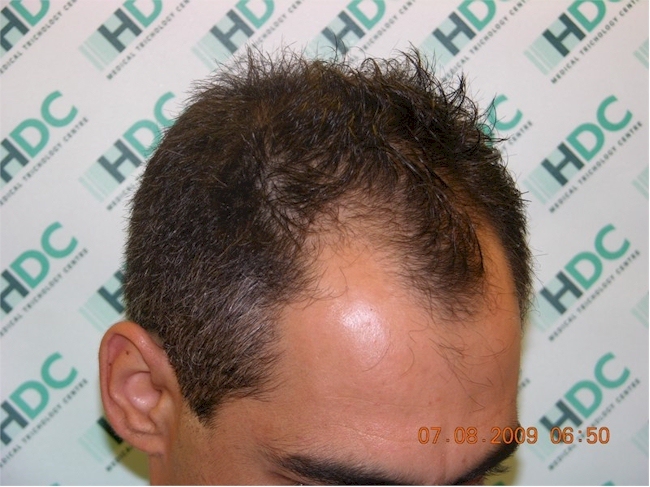 Some as if he chose FUE as both areas would have healed. » a class 4 and quite shiny on top would have difficulty in concealing it. in addition to getting my money up i have been struggling to think of the perfect excuse/lie for if the scalp is still red upon my return.